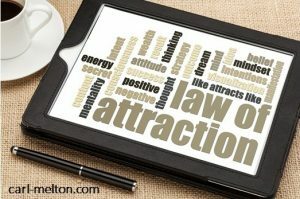 Can the Law of Attraction really help to make my life better? Dreams • law of attraction • MotivationCan the Law of Attraction do anything for me? Can the Law of Attraction do anything for me? I tried out some bits of the Law of Attraction, a few years ago, but I let it all slide when I was offered a new job. I spent half an hour a day for a few weeks on a set of positive affirmations and I also tried out a little visualisation. For a few weeks I followed the program while I was between contracts. However, as soon as I accepted a new contract offer, I stopped my affirmations and visualisation. Of course I had all of the ‘usual’ reasons to stop. I was too busy, I probably didn’t really buy in to it anyway, and all my focus was on making the most of the new contract. After that contract, I went straight into the next one, and then had a short break where I tried something else entirely. I find myself between contracts again, so I have decided to take a cold hard look at the various things I’ve tried to do in the past. I want to try to work out where I should focus my efforts to give myself the best future I can. it came out of the blue – a call from a recruitment agency I’d never heard of, much less dealt with before. Although in truth, in my line of work, that’s not so unusual! the pay rate increased (for no obvious reason that I could determine) between verbally accepting it and signing the contract. On reflection now, I’m forced to ask myself a question. Was this a random piece of good luck, or was it an example of the Law of Attraction in action? Of course the answer is one of life’s imponderables. It could very well be either, and it really does depend on what you believe. Or perhaps more accurately on what you CHOOSE to believe! Well as I see it, I have 2 choices. I can believe in fate. That means by inference that nothing I can do will make any difference to my future. Or I can choose to believe that I can influence my own future. If I believe in fate, then I may as well sit back and do nothing. Fate says that ‘what will be will be’. There is nothing I can do about that. I fundamentally believe that I can influence my own future. However, I don’t really know what it is that makes some people successful while others, who work just as hard or even harder are not so successful. 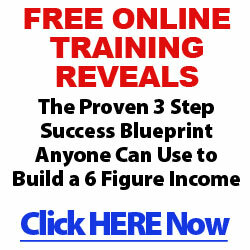 Can it be that the difference is the Law of Attraction? Right now, I’m prepared to believe that it could be, even though I’m not totally sure. If I don’t, then I either trust to fate or accept that no matter how hard I work, there is no guarantee of success. So onwards with the Law of Attraction. I ‘m ready to start. Lets see where this journey leads! Sign up at the top of this page to follow my journey. This entry was posted in Dreams, law of attraction, Motivation. Do you feel that you can become great?